I willingly answered all their questions. Then I got to thinking. When had my teachers ever allowed me such as insight into their lives? Or when had we actually gone around the room and introduced ourselves? The answer to both questions is never. Even in language classes I've never introduced myself. I know that I've stopped doing introductions. I found that everyone basically says the same thing. It goes like this, "My name is John. I'm from Korea. I'm studying Engineering." I've found ice breakers or warmers to be a bit more useful. After talking about the syllabus I move on to ice breakers. You know the classic "Find someone who" game or writing about goals for the class. 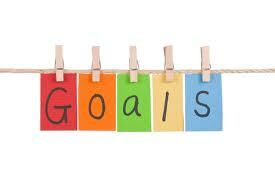 I really like writing goals. It's less stressful since students are expected to speak and it's useful. I think ice breakers are well worth it. It gives you a chance to see the level of the students and gets some idea on their interests and background. I like to do 'the star' with mine. I draw a star on the board, write up 8 things about me and they have to ask me questions. Then I get students to do their own stars and present to the class. If there's a lot of students then they chat in pairs and present their partner to the class. I like your star idea. I have mixed feelings about ice breakers. I think it also depends on the class. I could do an ice breaker with one class and have it be totally awesome and then do the same with another class and have it bomb.